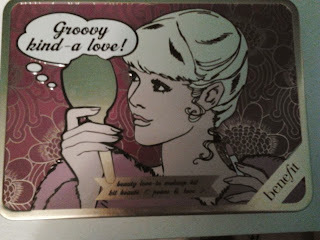 Lipstick and Lightening: Benefit Groovy Kind-A-Love make-up kit! Hi guys! I promised this blog a while ago but I haven't been in a writing mood lately, but it was promised and here it is, I hope you like. :) in my previous blog I mentioned that at the Benefit Christmas Countdown event, I won the Groovy Kind-A-Love make-up set, one of Benefit's amazing Christmas sets, and I thought I'd do a review on it because I loved it so much! In the set, this is my absolute favourite product! I love is so so much, and it is, by far, the best primer I have ever used. I don't really have a pore problem, but it makes your skin look so smooth and perfected, even when you have no foundation on yet! It adds a professional looking touch to your foundation, almost airbrushed, and the foundation wears alot slower. I wore this on a night out last week, and my foundation and blush looked the same before I went out, I would definitely repurchase! 10/10. This is a lovely lip and cheekstain, I don't really use it n my lips, because I'm not a fan of subtle lip colour, but I d use it on my cheeks. 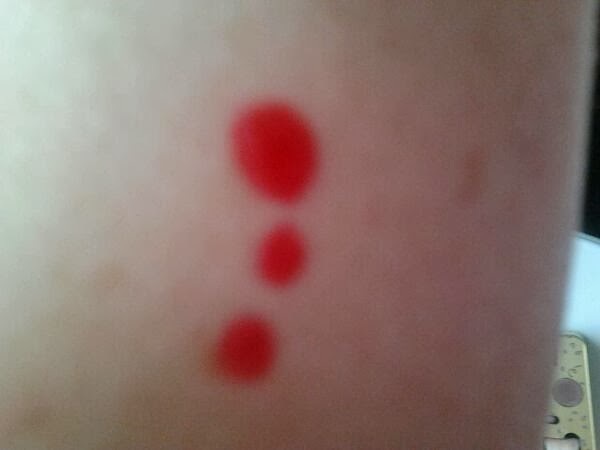 It gives a gorgeous rosy colour and it is very long lasting, which I love. However. 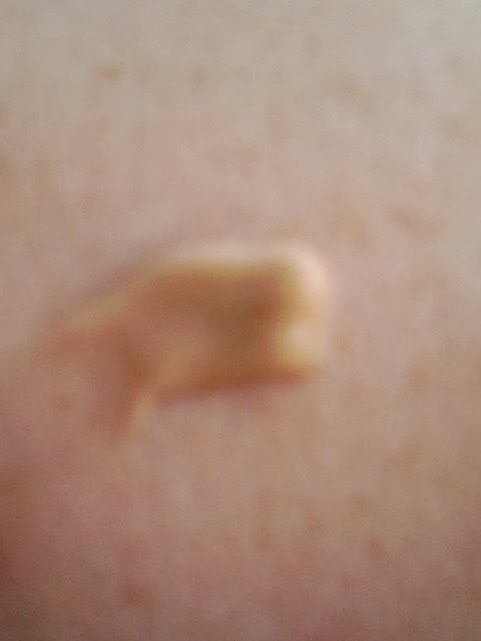 I found that when you put this on your cheeks and rub it in, it looks a little like it has an actual outline, so it doesn't blend very easily, I fix this using a little fixing powder, and that does the job. Nonetheless, I do love it alot, it would work best for a subtle look or if you were going to a family event. 8/10. In this set, Benefit have put together the Bella Bamba blush, and the Dandelion face brightening powder as one face powder, these blended together are fantastic! The Dandelion really brightens up your complexion and Bella Bamba gives a gorgeous rosy glow with a golden undertone. 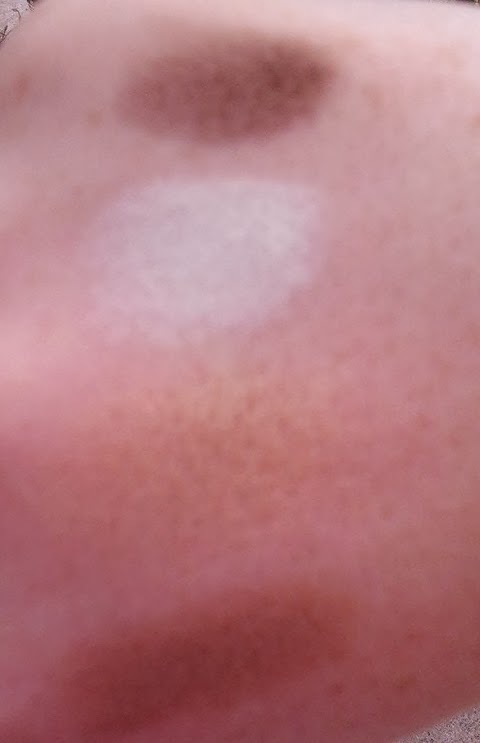 It is a very sweet blush, and I do prefer this on the cheeks than Benetint, very subtle aswell. Truly a brilliant combination. 9/10. I never thought of myself as an eyeshadow person, and I wanted to be, but I always thought no matter what colour I put on my eyes, it looked a bit stupid and garish, however, this month I have found the perfect colour that suits my blue eyes, browns and coppers! I tried Party All Night by Essence and I loved it so much! So when I saw that this set had a brown eyeshadow palette, I was happy. Like most Benefit products I've tried, they are long lasting, and they personally suit me. I hope when my confidence in eyeshadow application goes up, I can combine this to do a nice smokey eye, seeing as I've only used one colour at a time on top of the base. 8/10. I have heard SO much hype about this product off so many bloggers and some girls that I know, and it sounds like the holy grail product and one of Benefits best concoctions. With all the hype surrounding it, I really couldn't wait to try it out! Now, I did love this product, and it made my lashes look really long, and they almost looked fake they were that good. However, I did find it to be more drying than other brand, and can clump quite easily if you put on more than one coat. As good as I found They're Real, they really were not worth the hype, sorry They're real enthusiasts! I want to try Maybelline's Falsies mascara soon, I can imagine it does the same job, for over more than half the price! 7/10. I adored this set so much, and I was so happy I actually won it! My favourite products in the set was The POREfessional, the Dandelion/Bella Bamba duo and the They're Real! mascara. As they were miniature versions, I save them for events, going out, or if I'm staying in someone else's house and I want to save some space in my bag. 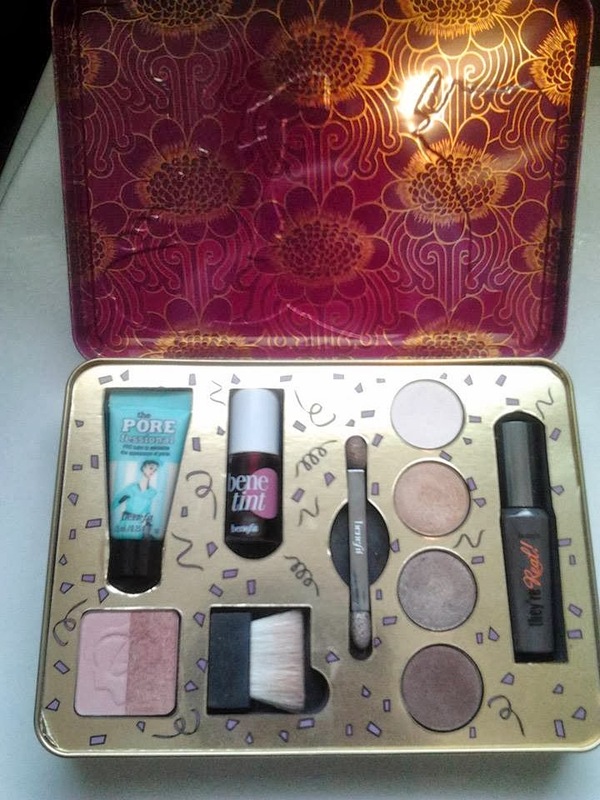 The packaging is gorgeous, like all Benefit products, and the set was €39.50, which is an okay price to treat someone for a Christmas set, and my own personal favourite in their Christmas collection! I love porefessional it works so so well! what a standout! in a good way.